The Beehive began in 2017 when Nic (senior Pastor at Ashford Vineyard Church) had a dream of a boutique clothes shop in Ashford for the month of October; but, not just any shop. She dreamt that it would be a place where women who couldn’t afford clothing, could come and get clothes for free. It wouldn’t be a ‘charity’ shop, but a place of dignity and beauty. When she had woken up and started to realise this dream was to become a reality, she joined with Becca who she knew, had long before had visions of a community hub. She knew that It was to be “A cafe, and….” But didn’t quite know what the missing piece was. She wanted it to be a space for start-up businesses to grow; a place for creatives to meet; a space for people to refresh, thrive and be sent back out- just like bees in a hive. After telling Becca about her dream, the pieces began to fall into place and they knew that their individual ideas, worked hand-in-hand. The next 6 week were a whirlwind- gathering a team, acquiring a shop (for free) in the town centre, decorating, fitting it out, collecting donations of clothes… The list goes on. But, after 6 short weeks, The Beehive opened it’s doors for the very first time. October 2017 was a whirlwind; seeing hundred of people through our doors, countless coffees made, and cakes consumed. But more important than offering a beautiful shopping experience for women in Ashford, we were able to give away thousands of pounds worth of clothes to women who couldn't afford to buy clothes for themselves. Through an appointment system, we received referrals from local services (social services, family liaison officers, women’s refuge, etc). Women arrived at our shop to a personal shopping experience, free of charge. An assessor spent time with the women, discussing their needs over coffee and cake (because what conversation is not enhanced by coffee and cake?!). Then, the shopping began. Armed with the knowledge of their size, style and the things that they needed/wanted, our staff set about choosing items for the women to try on and to eventually, take home. One of my favourite things about The Beehive experience in our month-long pop-up, was the simple fact that no-one would ever know which women were paying customers, and which women were receiving the clothes for free. The shopping experience was the same either way. The items still went through the till; lovingly wrapped in pink tissue paper, packed in the same brown paper bags, and handed to their new owners with a smile. The only difference was, that some women’s total was £0. October turned to November, and our month-long pop-up was over. Thousands of pounds worth of clothes had been given away to amazing women, and even more was sold. Women in Ashford had been loved, valued, and made to feel beautiful. The month had been all that we’d imagined and more, and the hard work had most definitely been worth it. Throughout the month we had heard the phrase 'You should make this permanent!’ more times than we could count. And yet, the time was not quite right. And so, The Beehive, temporarily shut it’s doors. The public face of the Beehive went quiet, however, behind the scenes, the team carried on; planning for what was next in our story. What came next, was a second pop-up event. This time a smaller, 2 day event. We took over The Warehouse, Ashford Vineyard, and created a bustling and beautiful shop; fully equipped with a cafe area, and welcoming volunteers aplenty. One late night shopping evening, complete with prosecco (the staple of every evening occasion), and then a full day, open to the general public, with appointments available to give away yet more clothes to the women who needed them. (And of course, The Beehive was stocked with a full cafe area- coffee and cake, space to sit, to chat and to relax.) The 2 day event was a success, welcoming back customers who we had seen in the October before, and plenty of new faces too. Yet again, the chorus rang out ‘You should make this permanent!’. Little did they know, that plans were afoot. Just a few short months later, Nic and Becca received a phone call, and were offered the one building that had always be our dream location, our ideal building, and the one we had secretly had our eye on since the very beginning. 2 North Street was about to become our new, and permanent home. On 26th October 2018, the contracts were signed, and Nic and Becca acquired the keys to our first permanent home for The Beehive. As part of Ashford Vineyard (a local community church) The Beehive will work closely with some of Ashford Vineyard’s other Compassion services- including Storehouse: baby clothes and equipment, and Dress for Success: smart, interview clothing, provided to help get people back into work. The Beehive has been, and always will be, steeped in beauty, dignity, and passion for seeing women realise the very best version of themselves that they can be. This is just the beginning of our story. Our doors open again on 24th November 2018, and we can’t wait to welcome you through the door. 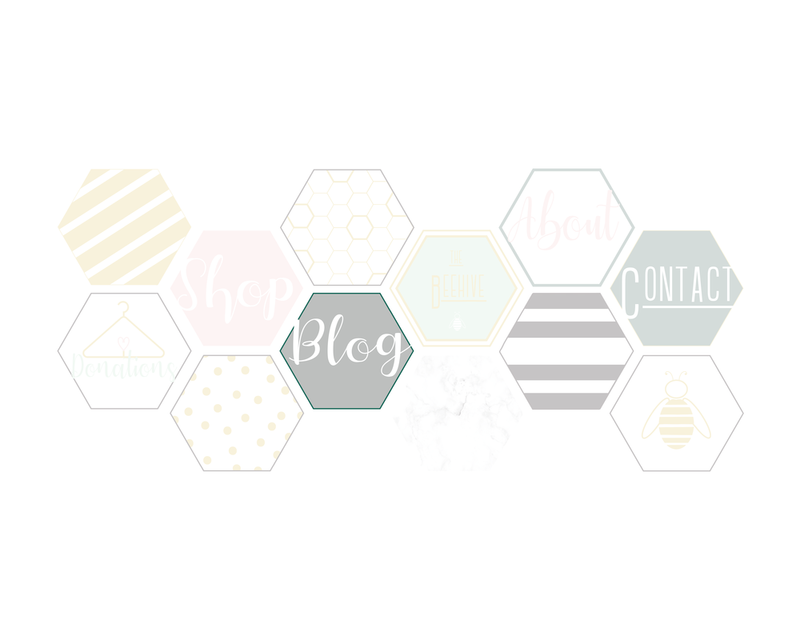 ← The Beehive Story; Pop-Up to Permanent!